What you are about to see is a stunning 1967 Chevy Chevelle Super Sport that features a lot of modification that transform this muscle car into an ultimate performer. Before getting into the performance details, let us take a closer look to its stunning appearance on both exterior and interior. The eye catching color where matched perfectly with a great performance. This badass car can pull off an astounding 700 horsepower from it’s blown big block engine! Feel free to watch this video below and witness this muscle car as it roars like a beast! 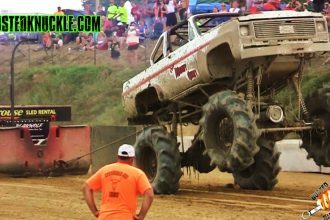 EXTREME Mega Truck Pulling At The Cornfield 500!